One of the biggest challenges of the early learning stage is understanding the concept of parts that make up a whole. Each episode of our 3D “Puzzles” series, presents the challenge of putting together four parts of a familiar shape or object to make it whole. 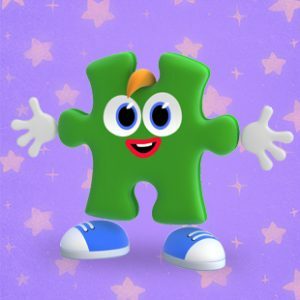 Puzzle-Kid guides young viewers through each part, eventually revealing the shape or object in its entirety and naming it. See what time Puzzles is playing!